Thoughts on new music performance, percussion, and cimbalom. The cimbalom is a Hungarian instrument related to the hammered dulcimer that was invented in 1874 and is primarily known as a Roma folk instrument. It weighs about 200 pounds and requires at least two strong people to move it, so it is the only instrument I own that I can’t move by myself. Tuning the instrument can be a hassle (they’re tuning cimbaloms in hell, I always say). Things like cimbalom mallets and replacement strings are very difficult to find in the United States. The average American orchestra requires a cimbalom player once every 3-5 years or so. I’m frequently asked, given those circumstances, why I bothered learning the instrument to begin with. My obsession with collecting recordings led me to the music of György Kurtág. One day during undergrad when I was perusing the old Virgin Megastore on Newbury and Mass Ave in Boston, I picked up a CD that included a work of his for baritone, string trio, and percussion, since I was always looking for new chamber music to play. The score proved impossible to acquire back in 2003, but the music was amazing. Brutally expressive yet introverted, and not losing its stoic dignity. I bought all the Kurtág records I could find, and unfortunately learned that he had no other chamber works for percussion, but myriad pieces for cimbalom. In 2007 I began studying with Frank Epstein at the New England Conservatory, and for my first lesson he asked me to make a list of things I wanted to accomplish that year. I wrote down things I considered to be realistic, like various auditions that I wanted to take (I didn’t end up taking any of them) and on a whim, at the end of the list I added “learn cimbalom?” I was almost embarrassed to even mention it, but when I did, Frank lit up and was very in to the idea. To be honest, if Frank was anything less than totally supportive in that initial expression of interest, I never would have bothered. Frank later introduced me to the only other cimbalom player in New England (that I know of), Richard Grimes, who helped me find an instrument to rent and showed me the ropes. 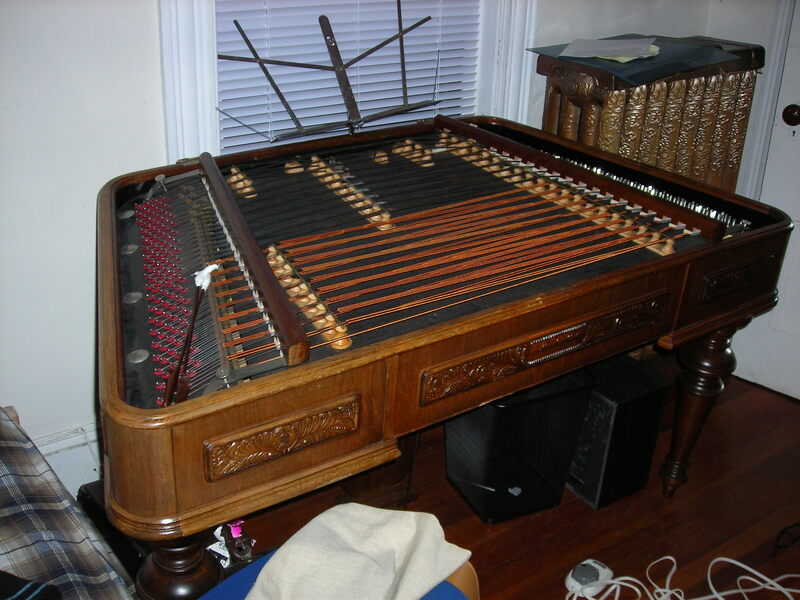 In the beginning of 2008, an extraordinary coincidence led me to a cimbalom for sale about three miles from my house in Jamaica Plain. I have no idea how many cimbaloms are in the United States, but I’d be surprised if it was more than two hundred, and the number of professional quality instruments in great condition is probably somewhere around twenty-five. The number of those instruments for sale ranges between zero and two at any given moment. So being able to hop in my car and check out one of these instruments after a ten minute drive at the exact moment I needed to purchase an instrument is quite miraculous. The reason why there are so few cimbalom players in the United States, aside from the scarcity of instruments and the even bleaker scarcity of work, is that the pitch layout makes no sense. Although the cimbalom has close instrumental relatives in most cultures on Earth, knowing how to play one or another of them will do you no good whatsoever in learning the cimbalom. I suppose percussionists might have the slightest advantage over other instrumentalists in as much as we are used to hitting things with sticks. So my strategy in learning the cimbalom was mostly just to repurpose the old books I used when learning how to play xylophone and marimba, and to import my general performance practices to my new instrument. 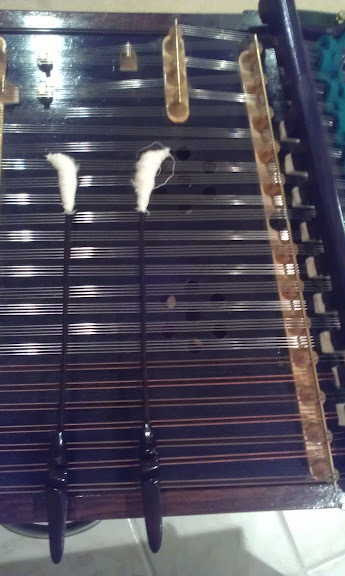 The biggest hurdle I faced after learning where all the pitches are is that the technique required by traditional cimbalom sticks does not work for me at all. 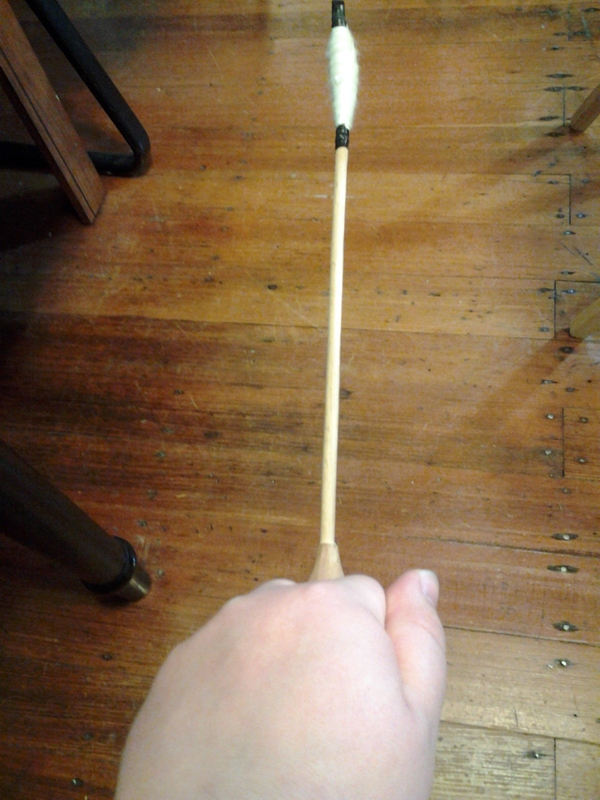 Most cimbalom sticks require one to play with the thumbs facing up. Percussionists might know this as the “French” timpani technique. While a lot of percussionists have success with this grip, my left hand has never been able to do it. Furthermore, it seems logical to me that the most successful technique in holding any type of stick or mallet is the one that most closely resembles one’s snare drum grip. When playing snare drum, each hand holds one stick, and the only concern is to play on a single large surface as efficiently as possible. That technique should lend itself well to situations with additional considerations. In my experience, the farther away a technique is from snare drum technique, the more likely it is to be nonsense. 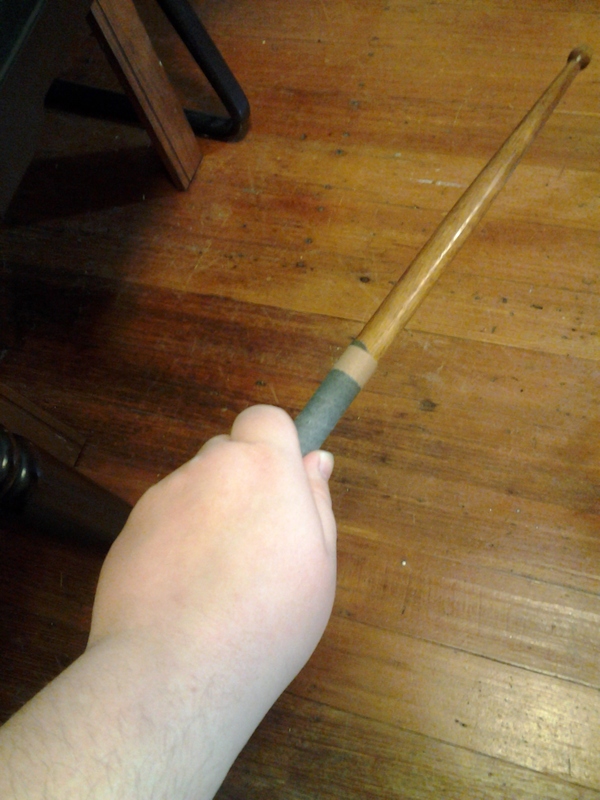 Because of the way cimbalom sticks are designed, it is not possible to hold traditional sticks with my preferred snare drum style grip with the top of the hand facing up. In 2009 I finally found someone that makes adjustable sticks that allowed my to use my favored technique. After a couple years of practicing cimbalom, I still wasn’t able to do much, and I was pretty discouraged. The opportunity of a lifetime came in March, 2009, when I was given the chance to play Pierre Boulez’ Repons that September at the Lucerne Festival Academy. I’m convinced it is the most difficult piece in the cimbalom repertoire. 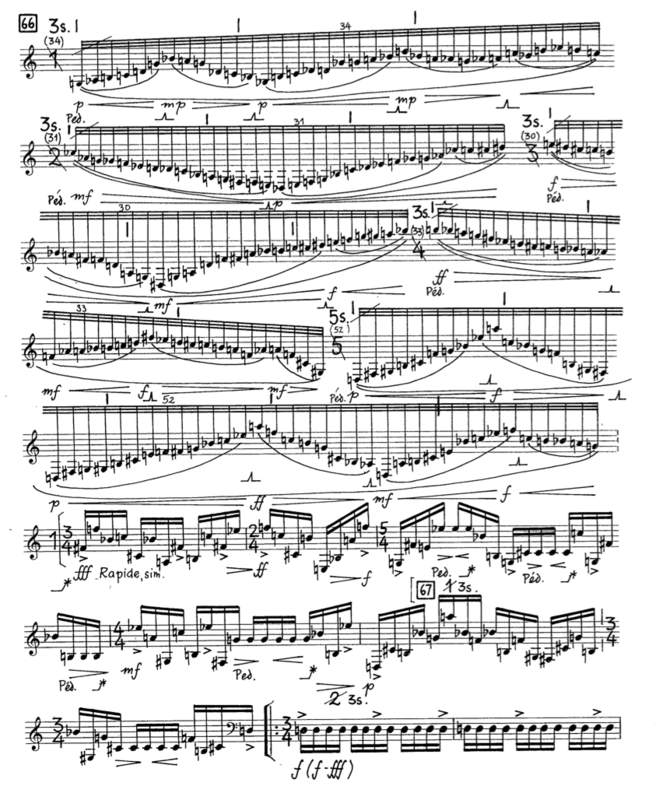 So, I had six months to learn a ridiculously difficult part by rote. I didn’t nail every aspect of the piece in the performance, but it went pretty well. You can watch it here. After learning Repons, things got a lot easier. Since then, I’ve been able to play a lot of the standard rep for the instrument with some of the world’s top orchestras, including the Boston Symphony, the New York Philharmonic, and the Montreal Symphony. Without a doubt, the performances I’ve had on cimbalom have been the highlights of my career. The opportunities open to me as a cimbalom player would be completely closed if I had remained what I was in 2007: a slightly better than average new music percussionist with a tenuous orchestral background. I’m definitely not advising everyone reading this to go out and do what I did, but the more general insight here is that in the cutthroat world of the music business, the more you can diversity your portfolio, the better off you’ll be. But, of course, I didn’t have any of that in mind to begin with. I just wanted to play Kurtág. This entry was posted in Cimbalom, Contemporary Music, Percussion and tagged Cimbalom on May 2, 2013 by tolleism. 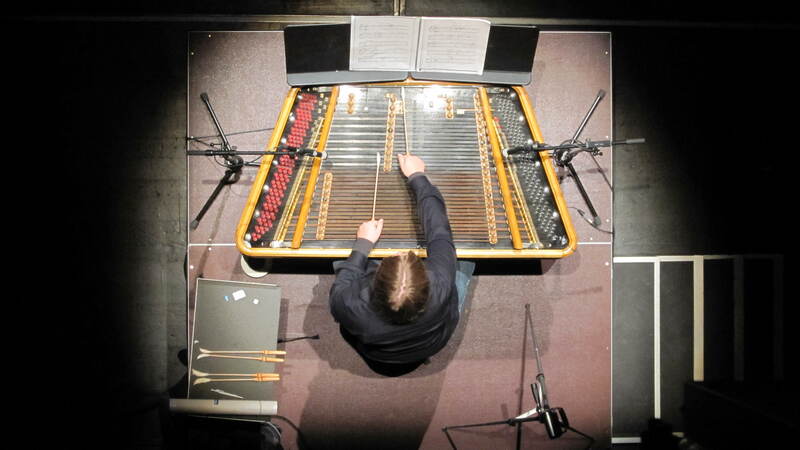 Having been a Nick Tolle fan for many years AND finding the cimbalom to be a fascinating instrument [and only having heard of it due to following Nick’s (your) career], I really enjoyed reading the development of this aspect of your musical accomplishments. Very enjoyable read!! Regarding the grip, quite many Romanians prefer the “palms down” and their sticks are made that way. This is my personal preference as well, but I am still a beginner. I built a small cimbalom for myself as well as a few pairs of sticks. Here is a picture of both – you can see how the handles are oriented. i would like to build a cimbalom, too. Where did you get the plan to build yours? I have a question for you, https://www.youtube.com/watch?v=ybZINoDv8I8#t=1334 who is the cimbalom player at 22:10 in this video? I am asking this as it pertains to my research. My email is ffalzara@gmail.com. Thank you for your help! I’m was just searching around, looking for a place that sell cymbolum hammers. 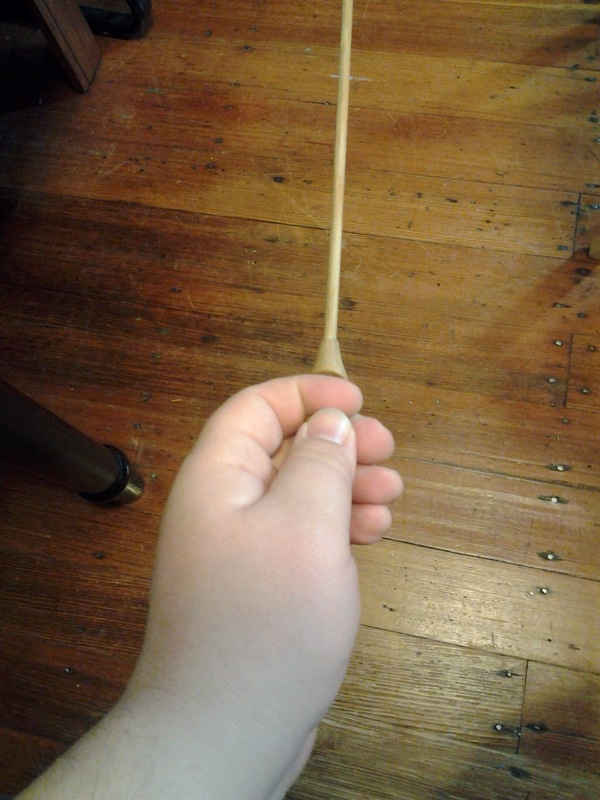 This was my grandfather’s primary instrument. I actually have 2 Schunda’s…..